On June 7, at approximately 23:30 local time, on the northern frontline positions of the Artsakh Defense Forces, conscript Gevorg Kachatryan was wounded due to enemy fire. He was relocated to military hospital for treatment. He is in critical condition. An investigation has been launched. Defense Minister Davit Tonoyan will lead an Armenian delegation to NATO headquarters in Brussels to attend an event dedicated to discussing security and stability in Afghanistan. 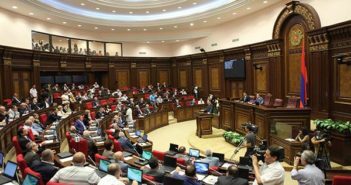 Energy Minister Artur Grigoryan announced that the price of electricity for low income families will be reduced by twenty-five percent at the expense of the profits of the Electrical Network of Armenia (ENA). The move is expected to affect 110,000 families and cost the ENA $4.1 million USD per year. 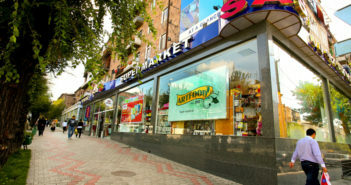 Samvel Karapetyan’s Tashir Group purchased the highly inefficient and troubled ENA in 2015 from a Russian state owned company and went on dramatically reform it and modernize it, cutting its losses while significantly improving service and efficiently. Sergey Avetisyan was relieved of his post as Director General of the Department of Civil Aviation, a post he had held since June 2016. 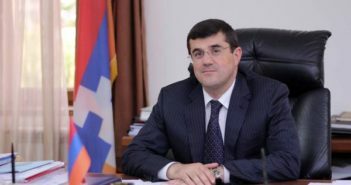 During his tenure he was widely praised across the political spectrum for markedly developing the aviation industry by reaching agreements with several airlines across the world to establish new routes to Armenia. Also relieved of their posts were Narek Sargsyan as State Committee for Urban Development and Martin Sargsyan as head of the State Cadastre Committee of Real Estate. Sasna Tsrer member Aram Manukyan, son of Pavlik Manukyan, was released from pretrial detention due to his health condition and at the urging of nine members of parliament. He is the latest individual associated with the 2016 terrorist attack on the Erebuni police station to be released in recent days.